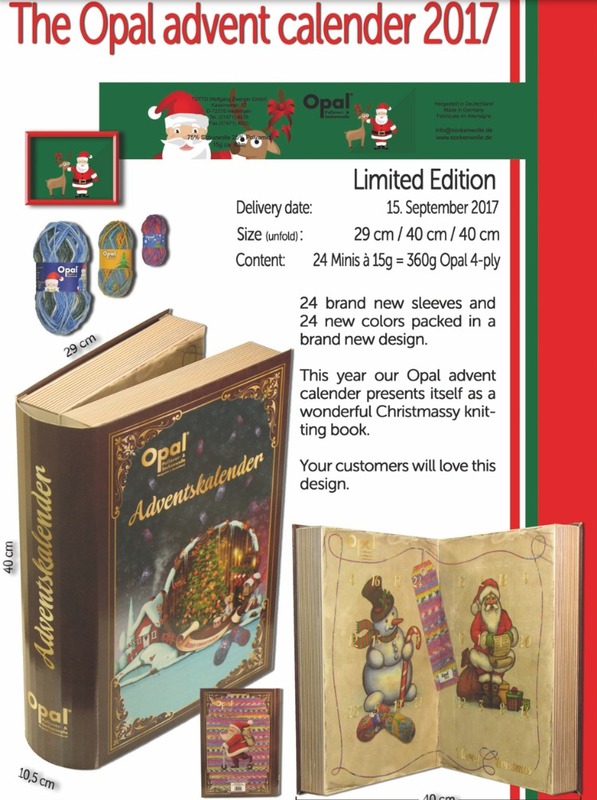 The Woolly Brew: 2017 Opal Advent Calendar - preorders are open! 2017 Opal Advent Calendar - preorders are open! promotional leaflet, actual calendar will be much more impressive! Summer is nearly here and the sun is shining... time to think about Christmas! Well... it's not quite a box this year... it's a book! But it still has 24 teeny tiny balls (15g each) of seriously cute multi coloured sock yarn. After the HUGE success of previous years, we've been advised (again) by our supplier to get our orders in early. Like last time we can accept orders in person, over the phone or by email. We will require a £35 deposit (you can pay over the phone or we can send a Paypal invoice). There will be a balance of £25 to pay when you collect or we post. The calendars will likely arrive in September. Postage will be extra but because of the new shape it'll be less than in previous years. The anticipation of opening a door each day in December should not be underestimated! 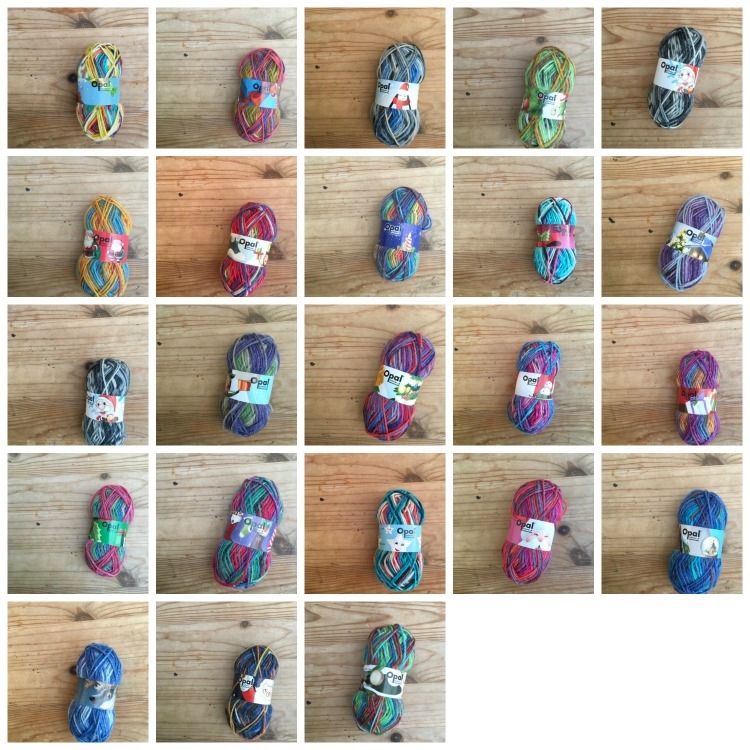 You can make many socks with 360g of sock yarn - matching random pairs or mismatched 'knitted in the order they arrived' pairs. Wait until the end and knit balls with a similar colour scheme or self patterning effect or mix a stripe with a printed pattern. Or what about some bunting... 3 flags from one small ball, means you could get 72 flags... which would give you almost 10m (with spacing), which would cover... you get the idea! We still have our Pinterest board for more ideas on how to use your Advent balls and any other 4ply scraps! Please note... If you don't preorder there is no guarantee we can get you one! We'll be placing our order end of June...!